I know. I was disappointed when I woke up I feel like we should have at least got a picture by now unless it's been moved back to 2018. I can barely remember, but I already had one or two dreams. Not really about Watership Down, but in the world of Watership Down. It was quite strange, but also so interesting, being inside the body of a rabbit. Tho, it has been quite some time, since my last, but I can remember some scenes, like I was running along a meadow (maybe even on the Down), or looking at my fore paws, while standing on my back paws. What I can recall a bit more clearly was even a talk with Bigwig, in series style. I can't remember what we talked about exactly, but that we did, and this was one of the most intense scenes. I guess the best way to have the desired sleep while sleeping is mental suggestion. Think about the topic you like for days or weeks, until you finally get it. I read something about it. I would like to spend the day with Silverweed and talk to him about many things. While on a car trip around Montreal, my parents go for an appointment in a random skyscraper, leaving me behind in the car. Suddenly, [CALL]Silverweed's Claws[/CALL] shows up and drives the car to another skyscraper. He takes me to an office on the top floor, which contains a few wooden desks, one of which is covered with many pieces of paper. I take a look at the paper on the desk, and find a few storyboards from the miniseries. There is also a copy of the script, which is open at a page where Thethuthinnang complains that Vilthuril does not appear in the miniseries, but for some reason Haystack does. Thethuthinnang also says that she has a romantic crush on Hyzenthlay and wants to be her mate. Then Claws takes all the papers and puts them in the trash. He tells me that the miniseries will be released exactly seven days from now so advertisements for it can be placed in a Christmas tree somewhere in New York City despite the fact that Christmas is two months away. Back in the car, Claws tells me that the script and the storyboards are to be destroyed, so he will burn them that night. I ask him if I am allowed to reveal what I learned about the miniseries on FHC, but he does not answer; he simply drives me back to my parents' building then runs away. Then my parents come back unaware of everything that happened, and I wake up. I had another dream about the miniseries last night. A British actress who is not part of the cast of any adaptation of WD posts a picture of the promotional book. The only page visible is part of the table of contents. The chapters are numbered using Roman numerals, but several don't make sense (for example, one is numbered "bfdi"). The first and last chapters mentioned are both named "Nuthanger Farm..." and another chapter near the middle is called "The First Lieutenant Wins! "; I forgot the other chapter names. I somehow manage to get a copy of the book. I debate whether I should read it now or wait until the miniseries is released. I decide to wait, and simply skim through the book for now. It has the same format and thickness as the original WD book, but somehow it has 2316 pages. 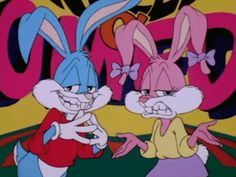 The first 1999 pages are the main plot, while the remaining 317 pages consist of bonus material such as a summary, trivia, character profiles and a Lapiné glossary. The Lapiné glossary takes up less than one page. The character profiles are really disappointing, with only four characters mentioned: Fiver, Hazel, Bigwig and Clover. All four profiles are written in the first person, and Hazel says that Hyzenthlay is his mate (although her name might have been misspelled). I consider looking at the summary to see whether the miniseries ends with the dog run like in the book or whether they use something depressing like magic. However, at the last second I decide not to, but I nevertheless manage to read one sentence in the last paragraph: "Hazel has a rare vision to detect the camera" (presumably a surveillance camera at Nuthanger Farm). I decide to post my findings on this forum, and consider taking a picture of the book on a table, or of me holding it, to prove that I really do have a copy of it. Then I wake up. Hey hipster Roo, how do you do it? Do you have really fantastic dreams, how do you do it? I always have dreams of crap XD Most of the time I dream of nonsense, which is not worth explaining, but you dream of Watership Down. Do you take a whole gallon of pure hot milk? Do you see 24 hours of video from Watership Down to make your mind go influence? Are you a real rabbit ???? !!!! 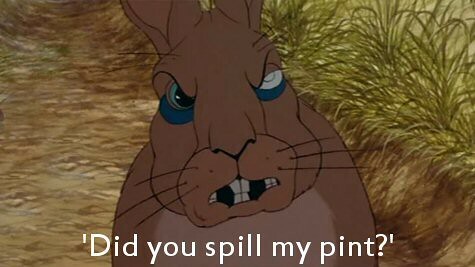 I had a dream with Watership Down in! Can't remember much. Saw some of the film, but wasn't quite like the film, and had to answer questions on it, or something. Chipster was in it, too! I actually had a couple of WSD theme dreams...one in which I was in the English countryside and I was in this elderly woman's house, which was like a cottage, and she had some Watership Down paintings ( scenery from the 1978 film) and what appeared to be the book in different covers. The other dream was ...I was walking on this path in a wooded area with some meadows, and I fell into this stream or river and tried to climb out, while seeing a couple of the WSD rabbits ( as if they appeared in the cartoon) on the banks. I woke up after that. One other dream was that I was stealing what appeared to be WSD figurines from someone's house. You give me envy, I would at least like to dream of being a bunny chasing mice, that would be fun and stealing lettuces.